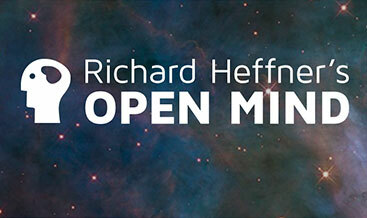 HEFFNER: I’m Richard Heffner, your host on THE OPEN MIND. Years ago when I was still persona grata at the Aspen Institute for Humanistic Studies, Walter Paepcke’s brilliant monument to the role great and lasting ideas can play in humanizing our business culture, I began the executive seminars on, I moderated there, by asking those top American business leaders who were my students so to speak to say frankly what each did have as his or her epithet. How do you want to be remembered? For what? When finally you’ve passed through this veil of tears, what mark of value will you have left? In other words, share with us, with yourself, who you really are. What makes you tick? It is a good device. Wonderfully evocative. And I recognized its value all over again as I would through a number of the probing interviews with some of America’s leading chief executive officers conducted in recent years by today’s OPEN MIND guest, David Finn, himself Chairman and CEO f the world’s largest public relations firm, Ruder, Finn, and Rotman. When I was going to college, of course, Calvin Coolidge was undoubtedly remembered best for proclaiming that the business of America is business. That didn’t endear him to most of us, of course. And later how much more typical it was to rile up our businessmen friends at Aspen by assigning instead the Gospel of St. Luke, for it is easier for a camel to go through a needle’s eye than for a rich man to enter into the Kingdom of God. But times are changing. And it may be that now the business effort is itself much more in the ascendancy. So that today I want to turn the tables on David Finn, entrepreneur and CEO asking him what he has been asking others. To wit, at what point does he say, this I believe about doing good and doing well. And David, being the head of the largest independent public relations firm, you have to answer that question, too. What is the point at which I say, this I believe, when you are asked whether you should be doing good or doing well? FINN: Well, I feel that doing good and doing well is really very much the same thing. I think that you know, public relations has often been defined as doing good and getting credit for it. I don’t like that definition. I think that doing good has its own virtue. People in business like to say we’re not philanthropists. We’re not do-gooders. I always bristle when I hear that because it seems to me that business ought to recognize the value scale that the rest of the world recognizes. And doing something for society, for one’s neighbor that’s valuable, that’s helpful, is one of the best things we can do in life. It’s more important than making money. And so I don’t think it’s wrong to talk about doing good in the world as its own reward. In public relations and in business we have to say that contributing to a certain museum exhibition or underwriting a public television program or conducting some community service, a public service, is helpful to the company. Stockholders want to know that. Employees want to know it. Salesmen want to know it. And we do have to make it worthwhile for the company. But I remember your friend Walter Paepcke who was one of the earliest supporters of the arts and culture in American life. Somebody once asked him, do you think, he was in the packaging business, Container Corporation of America, he was asked, do you think that supporting art really helps you sell packaging? And his answer was, hell, I don’t know. He said, some people sell packaging by getting their customers drunk. I sell it with art. HEFFNER: Yes, but you’re talking now about a rather interesting person in terms of the way business has developed in our own times, and I wonder how many of the CEO’s today in your own experience can be quite that grand about the interests of all those stockholders. FINN: Well, I once spoke to a law school, University of Chicago, and I had a hard time with the law students who tried to teach me the responsibility to the stockholders, and I talked to Milton Friedman about such matters. There really isn’t much an issue these days about that. If a stockholder doesn’t like the way a company is behaving, he’s going to sell the stock and buy some other stock. I’ve had CEO’s from major corporations, that is, you know that I’ve interviewed some of the heads of some of the largest companies in America, and abroad by the way, as well. I’ve had CEO’s tell me that he will not run the company for the benefit of some …(inaudible)… in Wall Street. Stockholders are important. Of course they’re important. They won’t stay in business, they won’t stay in power as managers if they don’t give adequate return to stockholders. But Charlie Brown of AT&T told me his main purpose in life is to provide a service. That’s the main purpose of AT&T. They want the stockholders to get an adequate return on their investment, but their main purpose is to provide a service. And I think that’s true of most businessmen today. It’s not true necessarily of the guy who buys a company in order to break it up and cash in on the equity, the assets of the company. He may just be thinking of money. He’s entitled to do that, if that’s his way. But a CEO of a major corporation, I feel, is trying to do something worthwhile. 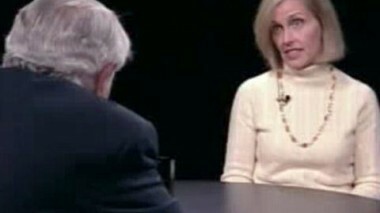 HEFFNER: Is that demonstrated by the interviews that you’ve had? HEFFNER: Not just the ones that have been published by all the talking you’ve been doing? FINN: I’ve asked every…I must have done about 25 or 30. I’ve asked every CEO, do you think that it’s the bottom line that really cunts and that measurement of your success and the purpose of your business is to produce profits? Is that the goal? Or do you think you should produce profits in order to do something worthwhile in the world? They all answer the second is their choice. That the bottom line that profits is not the goal of business. It’s the oil that keeps the machinery going. Without profits you can’t do anything worthwhile. HEFFNER: You say they all answered the same way. Do they all act the same way? Answer is one thing, action is another. FINN: It’s hard to tell. I mean I haven’t…these were brief interviews. I would probably have to think about my experience as a public relations counsel to major corporations where I’ve gotten t know these businessmen and their businesses to answer that question. And I think people who head major corporations, they’re really quite nice, intelligent, responsible, respectable people. The other day we had a press conference to present the results of a study that Ethan Allen sponsored. Nat Ancel is the Chairman of Ethan Allen. It was a study on the American family today to find out how well the values are holding up in American life today will all the changes that are taking place. He really is concerned about the American family. It’s not a marketing concept. It’s not a promotion. Here’s a guy who really is concerned about the values in the American family. And I find that throughout the corporate world. I really do. HEFFNER: Now, David, once again. The question is not attitudes, or concerns. The question is when push comes to shove, what that bottom line really must be? FINN: Well, I think there’s some concerns about business structure in our society. I was just reading a NEW YORKER piece about the ozone and fluorocarbons. And I was distressed to read, and I don’t know how accurate or objective this piece was, but it seemed pretty convincing, that the companies that manufacture fluorocarbons constantly resisted the implications of studies that were performed that suggested that fluorocarbons could irreparably damage the ozone. That troubles me. I think that there is a …there is…there are forces in a corporate world which are defensive of its products. In the face of evidence which convinces the rest of the world that those products may be harmful and businessmen find it difficult t look at themselves and say, maybe this isn’t good for the world. What should I do about it? I’m in public relations. Supposing I was convinced that public relations was bad for the world. It’s a cover-up. It’s hiding the truth. It’s disguising rather than revealing what goes on in the world of business or others that we represent. And if I became convinced that public relations was not good, what would I do about it as a human being? I want to do something worthwhile with my life. I don’t want to spend my life doing something that’s harmful to society. So I would, if I couldn’t, if I couldn’t engage in very, very serious soul-searching about the implications or consequences of what I was doing, then I would be, I would not be satisfied with myself. 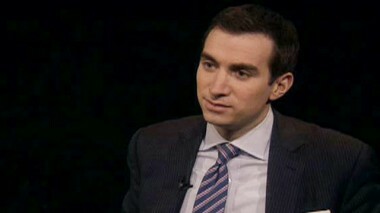 HEFFNER: You see that’s precisely why I used to ask that question at Aspen. And why when beginning this program you talk about the contributions that many of the CEO’s have made in terms of their company’s resources used here and there for this good purpose of that good purpose. I don’t think that’s quite so much the question at issue as it is in terms of the ways and the means by which the company does make its bottom line look good. Will there be any sacrifice there in terms of doing good, as well as doing well? That’s the important thing. FINN: See, I don’t think it’s the profit motive, although everybody thinks it’s the profit motive that makes the corporation sometimes act in a way that’s not in the best interests of society. HEFFNER: What is it then? FINN: I think there’s some kind of process that goes on in the whole corporate world. I mean we see it as we hear about all these Nassau investigation. It’s not only corporate, it’s an institutional phenomenon. I recently talked to Roger Smith of General Motors, Chairman of General Motors. And I asked him these kinds of questions. And do you feel that what you’re doing is useful in the world? And he talked about the contribution that automobiles have made to society, to our lives. The pleasure people get. The convenience they get, and so on. I talked about the fact that automobiles choke cities, and traffic. And he acknowledged that that was a problem, but basically he’s convinced that cars are good for people. Now I, it’s not that cars make a profit for General Motors, but that cars are good for people. And I think that in a corporate environment people tend to think that what we’re doing is right and good and so on. It’s very hard for them to reflect about whether that’s really so. That’s the problem. HEFFNER: Or what goes on as the consequence of the production of cars as you suggest. But you know, I came across…I shouldn’t say I came across, Jan and Meg dug them up for me, some notations here, ten years ago…David Finn, eleven years ago, June 1975, in THE NEW YORK TIMES: “Business credibility might improve if more executives were willing to admit even to themselves that the obligation to pay adequate attention to public needs has not yet become one of the requisites of sound management.” Have you changed your mind about that in eleven years? FINN: No, I really haven’t. I mean I’ve been, I’ve been searching as you suggest really for what goes on in the heart of the business. And not the peripheral part of the business, the community activities which are wonderful for companies to d, but are peripheral. There was, there is some CEO’s, some companies who really feel that the heart of the business should be aimed at meeting public needs. Very, very few. Control Data. You know the story of Control Data where the CEO of Control Data believes that, he just retired, he believes that business should meet, business can be designed to meet social needs, and that’s good business. Just as we need clothing and we need food and we need houses, and people who provide that are…do so…can do it at a profit. Here we need education, he said. Bill Norris is his name. He said we need education. We have crime. We send criminals to prison. We have recidivism. They come out of prison and they commit more crimes and they go back. So why is that? Because they can’t get jobs. So let’s educate people in prison. So he’s developed a computer that he calls Plato, a very appropriate name, to use for education. To use for inner city, solving inner city problems, other kinds of businesses, educating prisoners, people who are in prison, inmates. And he is designing, his company and it’s a multi-billion dollar company, to meet social needs. People talk about the social programs at Control Data. He’d say we don’t have any of the social programs. We meet social needs as a marketing strategy. HEFFNER: Well, you know I remember the difference in historians’ approach to the robber barons or the giants of industry of the late Nineteenth Century. They were both, I suppose. They were giants of industry. They provided what this country needs. They met it’s felt and sometimes its unfelt needs. They sometimes created need and demand. At the same time it was charged that they did this in a way that was damaging to other aspects of American life. Now the question keeps coming back to me as I read what you’ve written in terms of your interviews with these CEO’s as to whether they are thinking, in your estimation, sufficiently of the damages that are done because they go back t this June 1975 piece that you wrote. “The problem is inherent in the system. The corporation’s success depends upon how well it employs capital, not how well it serves society. Although men of conscience do not want their money used for immoral purposes, a good investment does not have to be good for society, it just has to be gainful for the investor. Altruism, defined in Webster’s as uncalculated consideration for others’ interests is embarrassingly out of place in business.” And I wondered whether you still think that? You were not saying this I believe. You were being critical of business. FINN: Well, I think it is…I am critical of business. I think it’s still true altruism is, a businessman finds it very easy t say, don’t get me wrong. I’m not being altruistic. As if that were a sin, to be altruistic. I was trying to catch him on it, I said, it’s not bad t be altruistic. It’s not bad. The difference, of course, in business today from the Nineteenth Century is, and I wrote a book called THE CORPORATE OLIGARCH once trying to examine the differences. Those people got rich. There were no income taxes. They got very rich. And Andrew Carnegie wrote a book called THE GOSPEL OF WEALTH. His idea was, if I have an ability to make a lot of money, hundreds of millions of dollars, God meant it so because I have the ability to make that money and it’s my responsibility to use that money for good causes. HEFFNER: But isn’t that Darwinian schtick? HEFFNER: That ethic is still to a very considerable extent part and parcel of not just businessmen, and I don’t mean the individual CEO’s to whom you’ve spoken, but still or maybe once again part and parcel of the American ethos. I earned the money, didn’t I? FINN: Well, I think, yeh, the richest men in the country the Forbes 400 list of the richest men in America are not the CEO’s of the largest corporations in the country for the most part. Very, very few exceptions. And there are men, more men than women, but there are women, there are people of great wealth in this country who have made money in real estate or in oil, or what have you. And they do feel it’s their money, it’s their right to do what they will do with it. And many are philanthropic and do some very fine things as Carnegie and Rockefeller, Vanderbilt, and others did in previous generations. I don’t think that that’s something that interests me, particularly as a problem in American life. I think that those are curiosities more than anything else. It’s a corporation that interests me. The corporation is a very powerful institution in our society. It employs half the nation. It provides all the products we use. It affects the nature of our society. So what I like to study is what makes the corporation work. So it’s not those rich people. It’s the people who run those corporations. Who got up to the top and now have this power to influence our lives. HEFFNER: David, you just came back from Japan. Do the CEO’s in Japan function, not function, think differently about this kind of problem than CEO’s here in the United Sates? FINN: Oh, vastly, vastly. It’s so different it’s hard to grasp. In Japan it’s the president of the company who’s comparable to our CEO. The chairman is sort of an honorary position, usually. And the Japanese businessman is dedicated t the success and welfare of his company. And the company is like a nation to him. He has to take care of the people who work there. And they work there all their lives. He has to nurture the products, build the strength of the company. And the company is his life. He works for the company like you’re working for America. Working for Japan. And the top executives of Japanese companies, the largest Japanese companies, comparable to American giants, do not make anything like the salaries that American CEO’s make. The president f a company that’s larger than, twice as large as RCA had a salary last year of $150,000. Here it would be hard for a CEO not t have a salary of over a million dollars in that position. So they’re working for the good of the company. Now that’s not the good of society. It’s the good of the company. And Japanese business leaders have problems in America because here you see we’re very outgoing as individuals. And our CEO’s are willing to come to talk to you on this program, go to Aspen, or write articles, or speak in public, be known for whom they are, and influence the course of the company of a basis of their own convictions. Like Nat Ancel and the family. Or Roger Smith who’s very interested in cancer research and so he has a major program, General Motors and cancer research or whatever. In Japan they are very impersonal. It’s the company. The company is almost a faceless institution. And the individuals who head it are not, you don’t feel their personality. You never meet a Japanese businessman in his office. Never. You meet him in a meeting room. I met the head of the largest company in Japan, Dr. Shinto, head of NTT, fascinating gentleman. But I met him in a meeting rom. I don’t know what his office looks like. I don’t know if he has books in his office, or paintings or other nicknacks that remind him of things that he’s experienced that are meaningful to him. But you go to Bill Butcher’s office at Chase Manhattan Bank or Roy Warner’s office at Mobil, you’ll find something in their office. It’s theirs. It’s their personality. HEFFNER: And you think they, I won’t use the word impose, but they permit their personalities to play a large role in the decisions of the corporation? FINN: I think that that’s one of the great strengths of American corporations. It’s not an imposition. It’s establishing, it’s leadership. But when we have a president of the United States we like to feel that his personality helped ennoble our lives. I was, I worked with President Kennedy when he was in office and helped him build public support for the nuclear test ban treaty which is his proudest achievement. Kennedy was a personality. He created a sense of destiny for this country because of his own vision. And I think that a CEO of a company can do that as well. HEFFNER: Do you feel that there is any indication that you’ve noted that there will be in the future, that there must be in the future, perhaps, less of that individuation that you’re talking about? You’ve talked about the impact, the imprint of these individuals upon their corporations. What the corporations therefore think because they think what the CEO’s do. Do you see in the future a lessening of that personalization? HEFFNER: I know that you hope not. But what do you think? FINN: Well, I think that we have a problem in our society. First of all you have all these mergers and acquisitions which change the culture of a company, and that’s a problem. How do you get any continuity or vision when that happens? Also I think that a man is a CEO usually for four or five years. Ten years is a long time for a major corporation. And then a new CEO comes in and then he has no obligation to carry on the principles or ideals of his predecessor. And very often there’s a major shift in a corporation when that happens. I think, I love to, I hope that American corporations will find a way to institutionalize certain ideals that are implicit in the way the company has been led by a great person, if that’s the case. And I think that American business leaders need to study leadership more than they have. I’ve just written an article for FORTUNE MAGAZINE appearing a couple of weeks ago urging businessmen to do more of their own writing because they look to people like us, PR people to write speeches for them, or articles, or messages. And I think they ought to write their own thing. Because that makes them think. And writing is part of thinking. And business leaders need to think more. Because if they have a greater imprint on a corporation, they can leave that imprint behind them, and we will have greater individualization of corporations rather than less. That’s what I hope will be the case. HEFFNER: Well, again, and we have a minute or so left. I know what your hopes are, but as you’re a student of corporate life in America, what’s your bet? FINN: My bet is that my hopes will be realized. I think that more and more businessmen are coming out into the open and being themselves. HEFFNER: Is that true? You feel that? FINN: I think so, in America. I think that’s true. And I think that’s a healthy, healthy development. HEFFNER: WE have thirty seconds left. You haven’t talked, we haven’t talked about CEO’s or women or major figures in business who are women. To the degree that you know them, is there a different approach to business and responsibility? FINN: I wouldn’t generalize. I wouldn’t be able t generalize. But I did interview one woman in Italy. Maria Bellasario. I found her charming, intelligent, very straight forward, very practical. Perhaps less impressed with herself than a man would have been in her position. And that’s healthy . And that’s good. HEFFNER: And what I’m getting is the signal that our time is up, David. Thank you for joining me today. And thanks, too, to you in the audience. I hope you’ll join us again next time. And if you care to share your thoughts about today’s program, please do write THE OPEN MIND in care of this station. Meanwhile, as an old friend used to say, good night and good luck. Continuing production of this series has generously been made possible by grants from: The Richard Lounsbery Foundation, The M. Weiner Foundation of New Jersey, The Mediators and Richard and Gloria Manney, Mr. and Mrs. Lawrence A. Wien, Pfizer Inc., and The New York Times Company Foundation.